If you post some quality contents back to back your site, then you would be getting organic visitors, and you may get Fan visitors too. Fan visitors are the people who visit your blog at intervals of time. They wait for the new posts. 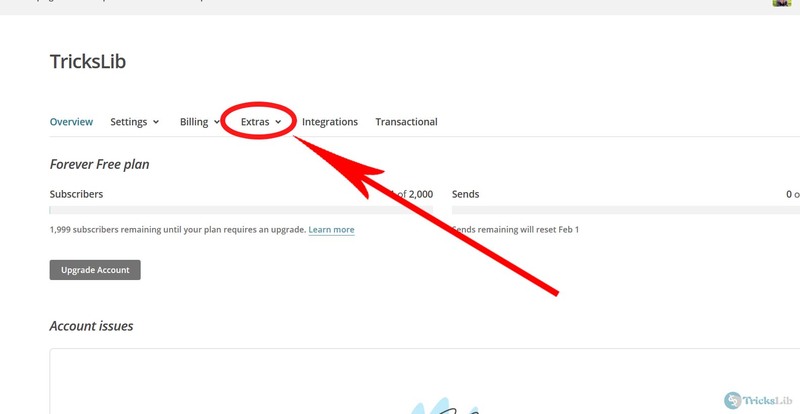 You can add email subscription to WordPress Blog. To help them, you can add a Subscribe Us system. The Subscribe Us System will help to make a connection between author and visitors. You can send an email whenever you wish. There are two major plugins for Subscribe Us/Newsletter. I will show both plugins and how to use them. It will be your choice to choose any one plugin and install. WP Subscribe plugin is complicated to setup and made by MyThemeShop, and it can be used add email subscription to your WordPress blog. There are there major email marketing sites. Aweber, MailChimp, and Feedburner. You need to have an account on any one’s website. 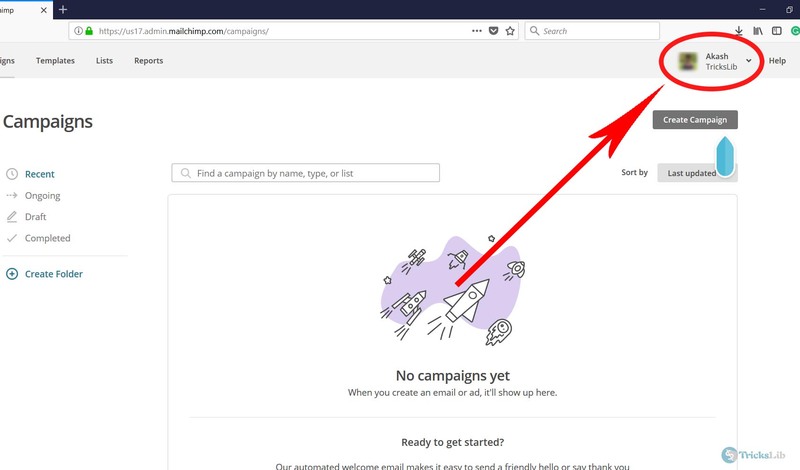 Let’s choose MailChimp, one MailChimp in a new window and register your account there. After verification of email, login into your account panel which will look like below screenshot. As highlighted in this picture, click on your profile section and a drop-down will appear. As highlighted above, click on ‘Account.’ It will take you to page which will be like the below screenshot. Now, click on ‘Extra’ and a small drop-down will appear. 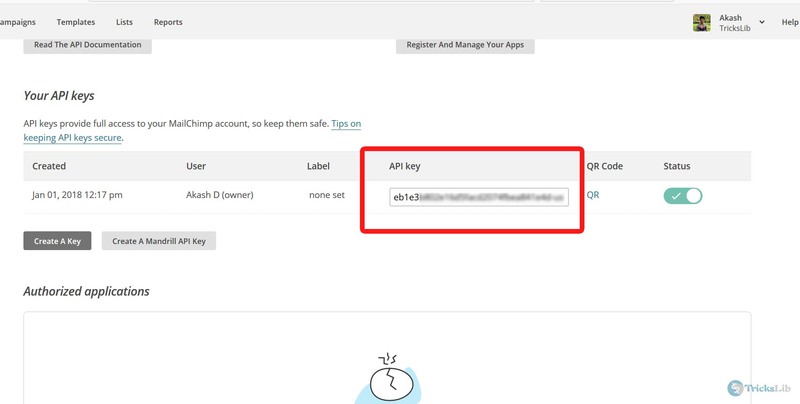 API Key, this is what we wanted. 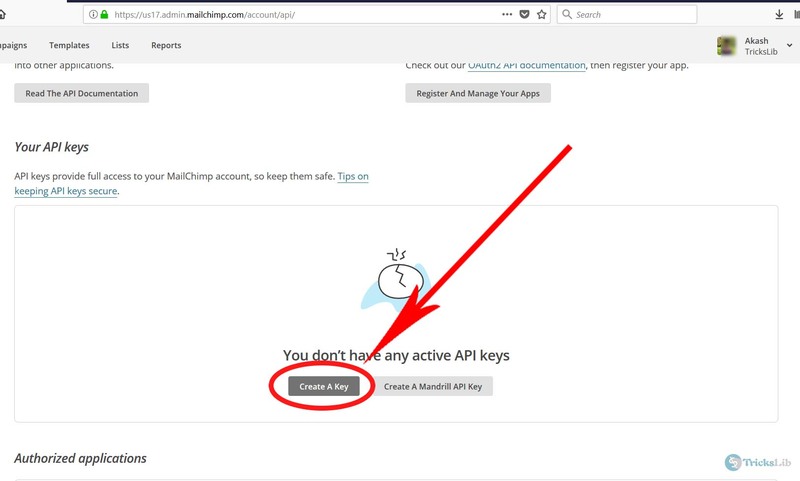 Click on ‘API Key’ to continue. Now, press the ‘Create a Key’ button to go on. And now you got your API Key! Copy that key on your computer/mobile. You will need it soon. Now, download and install the WP Subscribe plugin then activate. While setting up on your site, there will be few options and boxes like the screenshot. 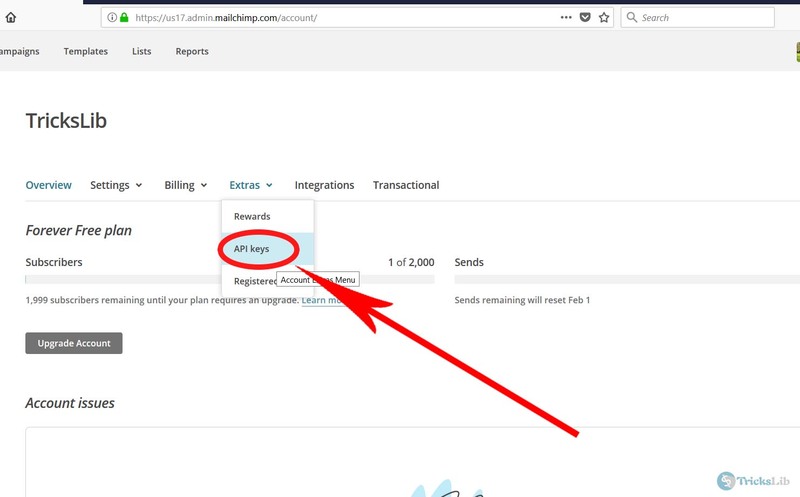 Select Mailchimp from three options and paste the API key you copied in the highlighted box and Save. Now your WP Subscribe plugin’s setup finished, and your user can subscribe your newsletter, and you can send them mail whenever you wish. However, it doesn’t have features like auto send mail when new post published. If you need features like that, choose the below plugin. The best thing about this plugin is the emails of users which they use for subscription will be saved on your server. 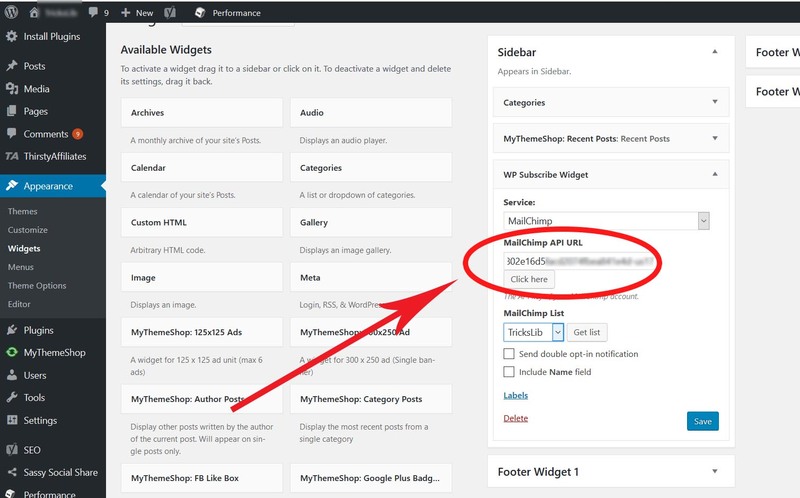 After you install and activate this plugin, add it to your site with widgets. 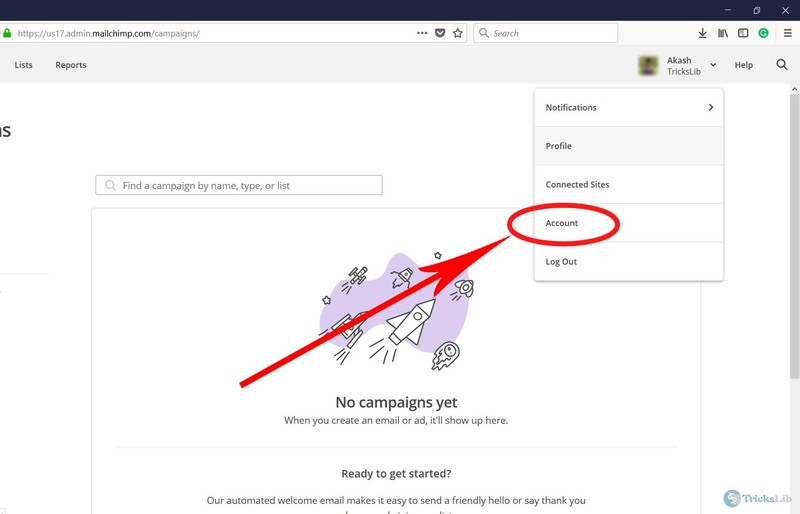 After placing this system on your homepage or it’s a particular page, the user can just put his email and name and subscription starts. The plugin has all the needed features. I’m writing some major useful features. Auto Notification On New Post: Well, this is the most wanted features, and happily this plugin contains this feature for free. Notification Emails: You can write and send the notification to your subscribers whenever you want. Schedule Email: If you want to schedule an email and send it on planed time, you can do it in this too. Usually, this feature used for wishes like the new year, etc. HTML Email Write: To beauty an email, you can use HTML in email. Because of its advanced features, this plugin has 100k+ active installs. I too use this plugin, and I recommend also. However, the last choice is yours. If you have any questions about this post, you can comment down; I will try to solve.